There will be different perspectives on the definitions of these two terms depending on context. 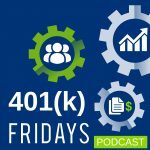 Put simply, behavioral economics lies at the intersection of economics and psychology. 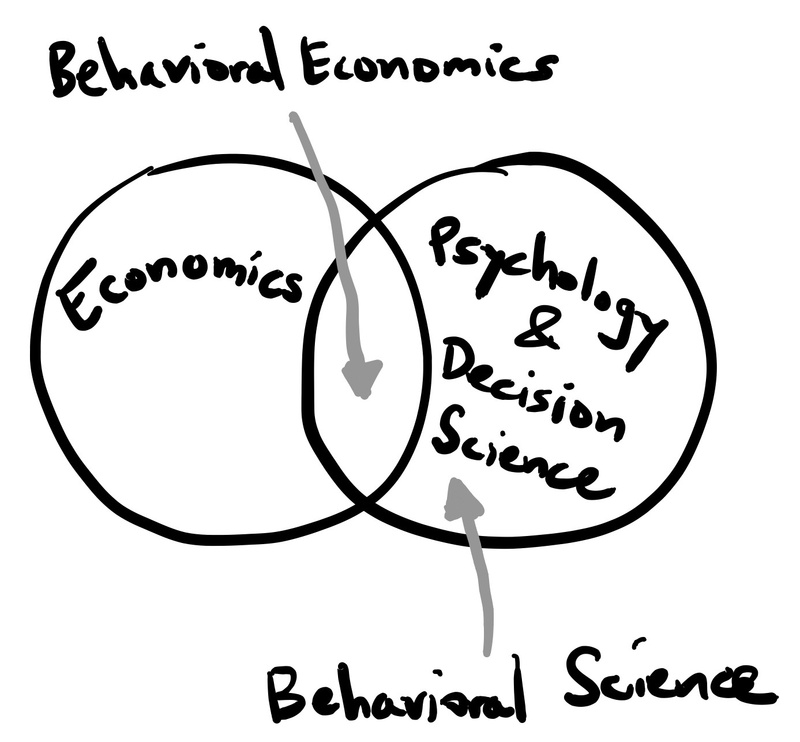 Behavioral science is a somewhat broader term than behavioral economics as it is more inclusive of things that do not lie at the intersection (e.g., pure social psychology or neuroscience). While the boundaries are evolving due to the nature of knowledge discovery, some things that lie at the intersection (i.e., behavioral economics as I’ve depicted) include choice under risk and uncertainty, prospect theory and loss aversion, myopic loss aversion, behavioral time discounting, heuristics, biases, mental accounting, behavioral game theory, and neuroeconomics. 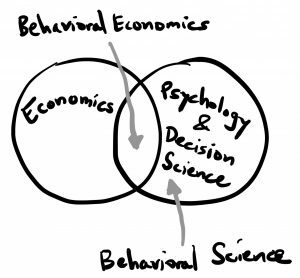 You will find that some people have a perspective that behavioral economists have foundational training in economics (i.e., come from economics departments) whereas other use the term more loosely and include those in the behavioral science area. Note that when when you visit the intersection of these two circles you will inevitably see the distinction between how people behave versus how people should behave. 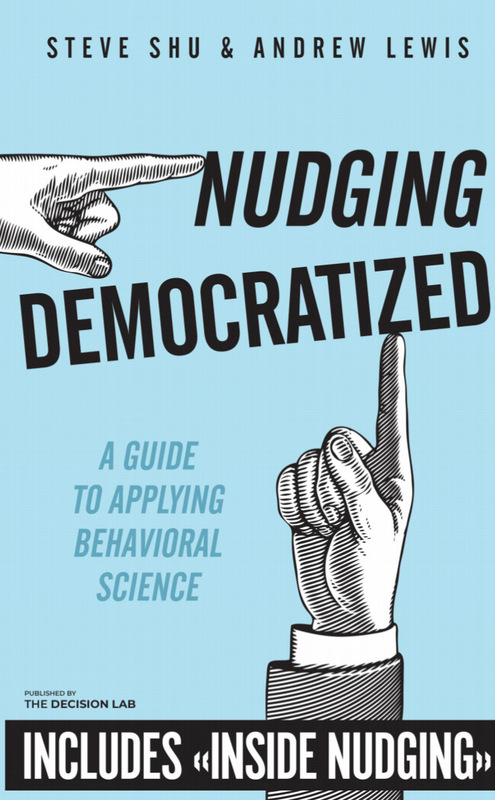 You may also see the concept of nudges and behavioral solutions that try to address issues that people face. 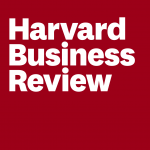 Behavioral science is inclusive of the intersection and may also include things beyond that like memory processes, empathy, emotions, learning, moral foundations theory, group decision making, neuroscience, psychology of aging, etc.